After two years of debate, video gambling has officially been outlawed in Forest Park by the slimmest of margins. With all 11 precincts reporting – the final precinct’s totals did not come in until after 1 a.m. on Nov. 7 – opponents of video gambling had defeated supporters by just 192 votes. Vote totals will change slightly as mail and provisional ballots are tabulated in the coming days. The decision makes history. Nearly 6,000 people voted on the binding referendum question, more than twice the number of residents who voted in the Forest Park’s last mayoral race and likely a village record. 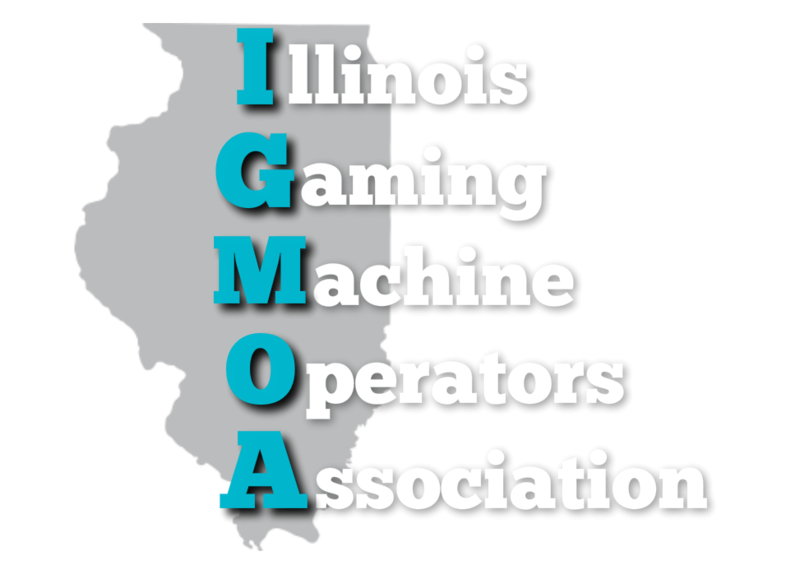 Forest Park is also the first municipality in the state to hold a public vote to outlaw gambling after machines had been installed in local establishments, according to the Illinois Gaming Board. Voters’ decision went against endorsements by the local firefighters and police unions, public works employees and the Forest Park Chamber of Commerce. Fourteen establishments in town have installed video gaming machines. "From the very beginning our goal was to bring this to a vote, so the fact that we got this to a ballot was an extreme relief to everyone in our group," said Jordan Kuehn, chairman of Let Forest Park Vote on Video Gaming, a ballot initiative committee that fought for the right to place the question on the ballot. "Seeing that referendum on the ballot and being able to punch yes and no was awesome." He called the work to get a vote on video gaming a "David and Goliath effort," comparing the amount of money each side had to spend in the final weeks for the campaign. During the third quarter of 2018, Let Forest Park Vote collected $2,739, with most donations appearing to come from residents, according to its most recent filing with the Illinois State Board of Elections on Sept. 30. Let Forest Park Grow-Vote No, meanwhile, collected $66,200 since Aug. 22, with most of the funds coming from video gambling machine vendors, according to reports listed on the state Board of Elections. Let Forest Park Grow supported keeping video gaming in town. "A lot of people were upset about the way it was brought in, they felt that their voice was being stifled. I think that there was a lot of resentment there," Kuehn said. The Forest Park Village Council voted to legalize video gambling in October 2016, after a majority of residents had voted against the practice in a non-binding referendum and in a water bill poll. Kuehn said the outcome speaks to voter feelings about the village beyond video gambling, and will have an impact on the April 2019 mayoral and commissioner elections. He is managing a slate of four commissioner candidates — Jon Kubricht, Julianne Bonwit, Jessica Voogd, Mark Boroughf — who aim to back the election of Rory Hoskins as mayor. "Some of the upcoming candidates are running on a platform of more transparent, responsive government, one that responds to citizens and constituents of town," Kuehn said. "That’s not to say that day-to-day functions of the village are doing anything wrong. It’s to say that the leadership is not really responding to the citizens." As for how the town should move beyond the divisive issue, Kuehn said, "I hope that we can let it to rest. I can guarantee for a fact that the group of people that we have aren’t going to petty and gloat about having won by 200 votes or anything. "All of us are motivated to make Forest Park a good place to raise our families and to live in, and so none of us, nobody wants a divided town." James Watts, chairman of Let Forest Park Grow, and the bar owner who brought the local battle over video gaming to the state Supreme Court, declined to comment on the results. "Lynn and I would like to thank everyone who helped us regardless of the outcome," Sorice wrote. "We love you." The Sorices own several local taverns, including Blueberry Hill, Angelo O’Leary’s, Carole’s, Circle Inn, Doc Ryan’s Bar & Grill, Pioneer Tap and Shortstop Lounge. As a line snaked outside the polling place entrance at the Howard Mohr Community Center about 6 p.m. on Nov. 6, residents said they felt passionate about the issue of video gambling. Mayra Aguilar, 53, a customer service representative, said that while she enjoys going to casinos, she voted to prohibit video gaming in Forest Park because she doesn’t want gambling in local bars or restaurants. "Video gaming, I think it is best kept in casinos. I believe it causes an increase in crime rate, people watching to see if you won," she said. Resident Andris Sprudzs, 37, a middle school teacher in southeast suburban Lansing, said he has family who lives in Las Vegas. When he visits the city—and just not its strip of hotels and casinos—he said it feels clean and well-kept. He said he voted in favor of gambling because he feels the village has controlled it with its limit on signage. "I voted no because, whether it contributes a small amount or large amount to the village, it still contributes," he said. Caitlin Lutz, 25, a project manager, likewise named the village budget as her biggest concern. Lutz was joined at the polls by her mother, and said voting together is a tradition among the two of them. "I just want to see our community do well," Lutz said. "So I believe if helps to keep our favorite establishments open, then I support it."